No bones about it... Bonefish Grill is (officially) our favorite restaurant in Arlington. After last week's lunch (our third visit of 2016) it's hard to imagine anyone else providing the same level of attentive service, comfortable surroundings and delicious food. Even more impressive, I've yet to order the same thing twice, which bodes well for return trips... Lots of (tasty) choices = many more visits. But let's stick to Friday's bevy of culinary beauties. 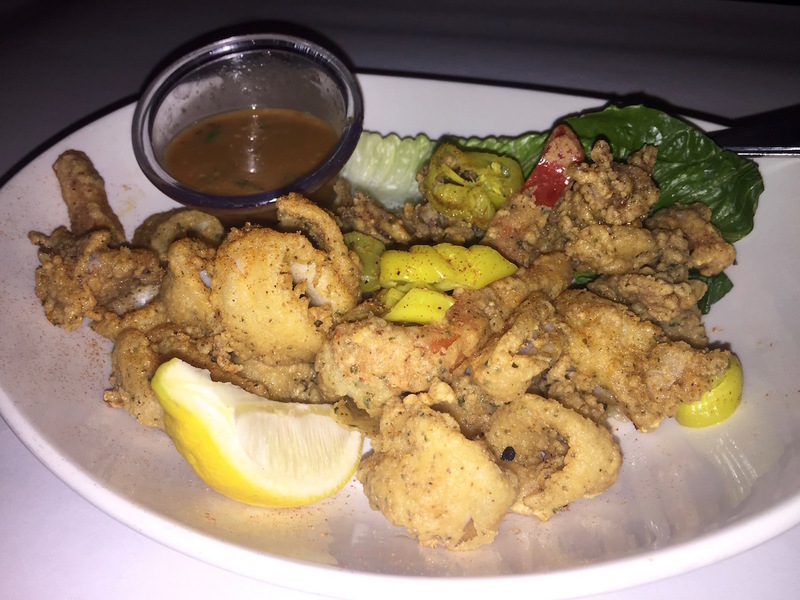 Lightly fried Calamari ($10.70) to start, loaded with zest and void of annoying grease. Not quite on par with BG's dynamic duo of Bang Bang Shrimp and Thai Coconut Shrimp; but then again, few appetizers are. As usual, there's enough to feed two, so feel to share (with confidence.) As for me, I ate each and every one all by myself; and I'm proud to say, I didn't feel an ounce of guilt afterwards. Noontime lunches are busy; but Bonefish manages to stay relatively calm and peaceful, despite all those bodies in one place. It certainly doesn't hurt to have a really big dining area, or great background music (Keljet, London Grammar.) Ambiance = stellar, as usual. Speaking of stellar, my server Rachel couldn't have been nicer or quicker to the punch (frequent water refills, speedy removal of plates.) She was also in perfect sync with the kitchen, so each course arrived mere moments after finishing the previous plate. Timing is everything, especially when you have less than an hour to finish a three-course meal. 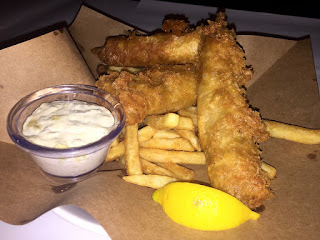 Back to lunch and a generous portion of Alaskan Cod Fish & Chips ($14.50) presented on brown paper with a side of malt vinegar and tangy tartar sauce. The fries were nice and crispy, although a bit under-seasoned. A few sprinkles of salt (kudos for salt and pepper grinders at each table... you'd be amazed how many places arrogantly don't even bother) brought them back to life, which is great considering how fantastic the fish was. Bonefish no longer uses tilapia, having replaced it with firmer (and substantially better) Alaskan cod. Each fillet is served tempura-style (very crispy) and comes packed with flavor/spices. Three pieces is plenty; and the fish is so good, you may be tempted to skip the tartar sauce entirely. Don't. It's criminally delicious, and shouldn't be missed (under any circumstances.) One final caveat... visible steam (from all three pieces.) Who doesn't love piping hot food? 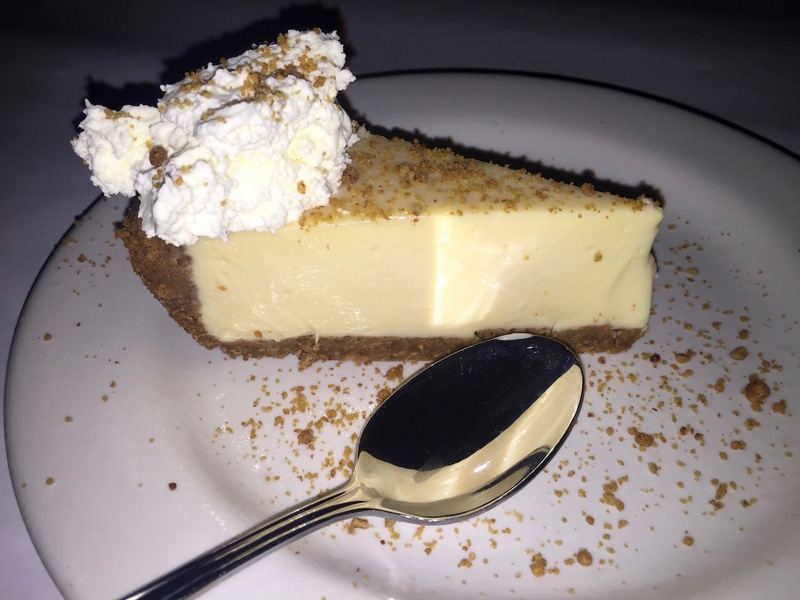 While we're at it, who doesn't love dessert (even/especially at lunch?) Key Lime Pie is widely available, but rarely have I had one with such a tall/thick filling. It's tart, but not too tart, and comes with a dollop of whipped cream that's literally to die for. My only complaint? There wasn't enough to cover the entire pie. Complaints are few and far between, yet another indication of a top-notch establishment. My schedule won't allow another three visits this year; but rest assured, I'll squeeze in a Sunday brunch (Bang Bang Shrimp Eggs Benedict... are you kidding me?) before Christmas time. It's the least I could do for Arlington's best restaurant.